As mentioned before, there are a lot of really cool things you can do with the recent proliferation of tiny computers. Specifically for me, the Raspberry Pi provides a perfect solution for retro-gaming. I considered several options to build my own system, but pretty much all them involved a computer running some version of Windows, making them a fairly costly option (unless I was willing to try buying a used computer on Ebay). Ultimately this would result in a fairly clunky experience, using multiple emulators to cover various video game machines, switching back and forth on an outdated version of Windows. Then I stumbled on the Raspberry Pi, and the Retropie and Emulation Station programs. Retropie, along with Emulation Station, creates a very nice interface for playing classic games across multiple emulators. When you put them together you have one cost-effective, excellent platform for retro-gaming. For less than $100 you can get a Pi, a couple USB controllers, a micro-USB charger, and a large capacity (not that it would be necessary) SD card and once configured you have the perfect retro-gaming platform. 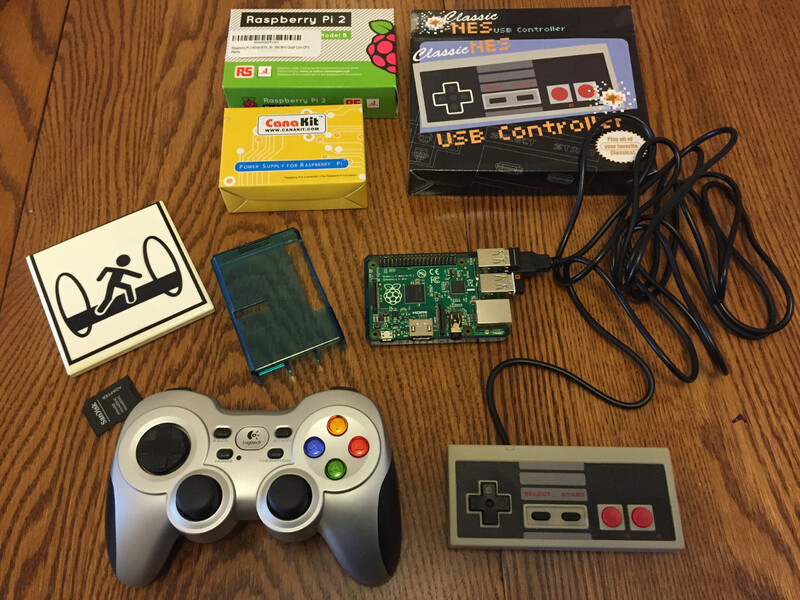 This Lifehacker article does a great job explaining the process of setting up a retro game console on the Raspberry Pi. Should you choose, you can find all sorts of interesting cases and accessories for the Pi online, including control pads that look identical to the original NES control pads.